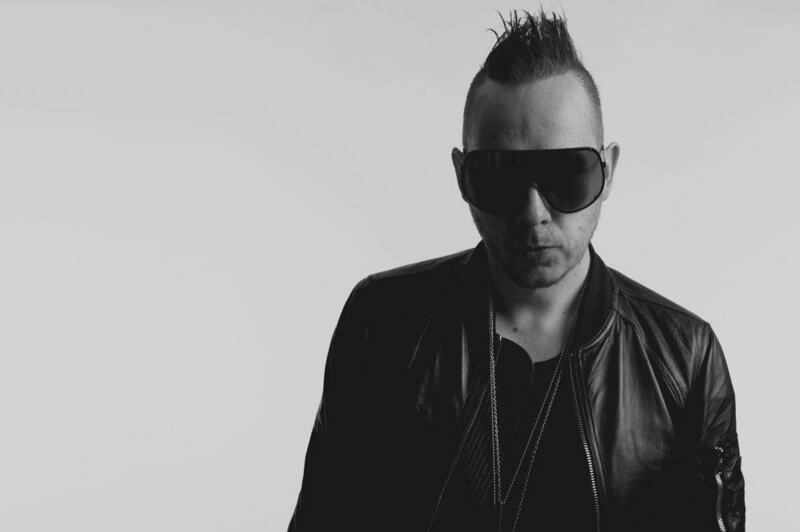 Black Asteroid is Bryan Black. Former engineer for Prince, one half of the critically acclaimed MOTOR, DJ, producer, live performer. Black is a force of electronic power and precision whose current incarnation as Black Asteroid sees the auteur in his most decisive campaign to date. Weapons such as 2011’s “The Engine EP” (CLR), 2012’s “Black Acid EP” (Electric Deluxe) and remixes for Depeche Mode and Rick Owens have set a new and uncompromising standard with their otherworldly sounds and shapes. We got the chance to catch up with him and ask him a few questions before his show at Spin Nightclub in San Diego, Saturday, May 18th. Get tickets here. 1. You were once a Sound Designer and Keyboard tech for Prince at Paisley Park. What was your reasoning for shifting gears from Pop to Techno? I will never lose the pop sensibility in my music. My album Thrust- is at times techno, experimental, but has a pop sensibility running through it. I write techno in a traditional pop song format- as opposed to endless loops, I like songs to have structure. My single “Howl” feat. Zola Jesus is essentially a pop song with a techno production. I am very interested in blurring those lines. 2. Coming from a more technical side of music do you have any insights on new hardware or software? Are there any in particular that you would recommend to an aspiring producer? I avoid using preset sounds and spend hours designing sounds from scratch. This can be done digitally with software plug ins such as those in the Native Instruments family, or my favorite DAW Logic Pro. I’m currently fascinated with modular synths. I can recommend anything by Make Noise, and Noise Engineering. 3. You just released a brand new album in late 2017, is there anything else you have planned release wise in the near future that you could tell us about? yes, I have a remix album is coming out in the coming weeks featuring remixes from some of my favorite techno producers. I wanted to showcase a harder, darker underground version of my album Thrust. the remix album is a companion piece to Thrust, and will be featured heavily in my set im sure. 4. You have mentioned in a previous interview that when you began adding Punk/ Rock elements into your ‘MOTOR’ project it quickly became stale because everyone started to do it. How do you make sure you keep pushing those boundaries as an artist to keep things fresh? When I started Black Asteroid, it was a reaction at the current state of techno which felt very safe. My first EP “Engine 1” was classified as industrial techno. roughly a year later everyone started making industrial techno, so I shifted and making techno with vocals and melody. I’m always moving, but no matter where I’m at, I have never lost my signature sound of experimental and pop elements. 5. You have lived in Minneapolis, London, and New York. Have these places influenced your productions, if so how? When I lived in Minneapolis I was influenced by Prince, and industrial music, I kinda put those two influences together for a while. In London, I was surrounded by electronic music- aphex twin, autechre, etc. I stopped playing guitar and focused on electro and techno full time. I tend to move somewhere every 5 years, but I have so far avoided moving to Berlin like every other DJ i know. I feel like I’m in my own world in Brooklyn now, which feels good. 6. Your music videos always manage to correctly represent your tracks visually. Do you usually have an idea of how the video will look like when you are creating your songs? Often I create music to fit an image. a song is not complete until there is a visual representation. I find the package of music and image inseparable. I have made a video for each of my singles. This is very important to me, perhaps growing up with early MTV, I can never shake the desire to make videos. 7. We always ask DJ’s to give us their top 3 tracks to play at the moment. Can you list yours? 8. If you could live your world in Black & White would you? No, I think living in a colorful world makes black and white art and fashion more special, an escape from a world of too much chaos and distractions, you have to break it down to the most minimal elements and colors. 9. 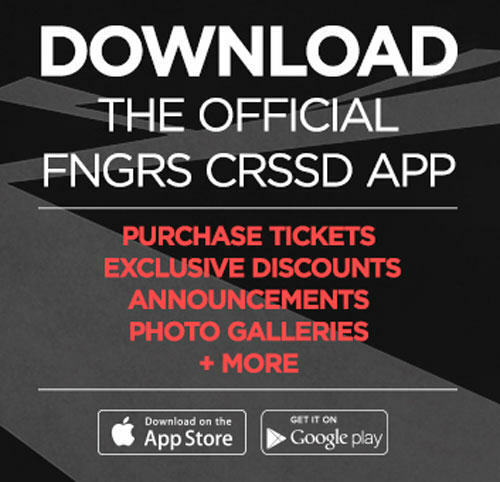 What are you most excited about your show in San Diego this month? the lineup., is really special. and tequila shots.